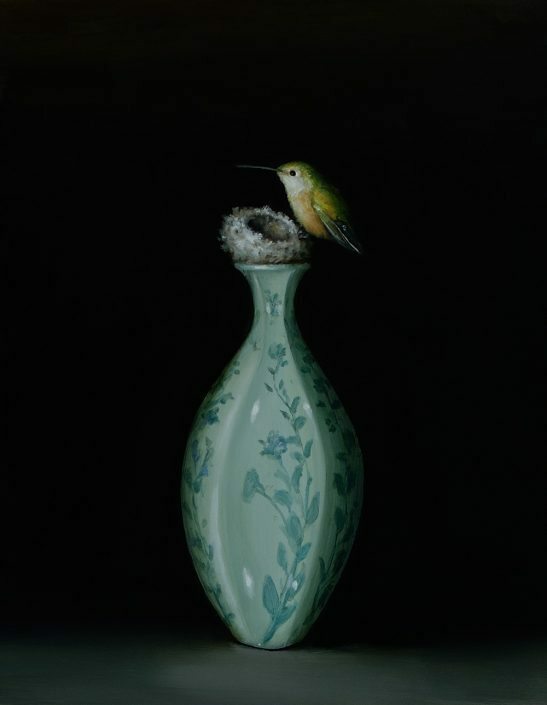 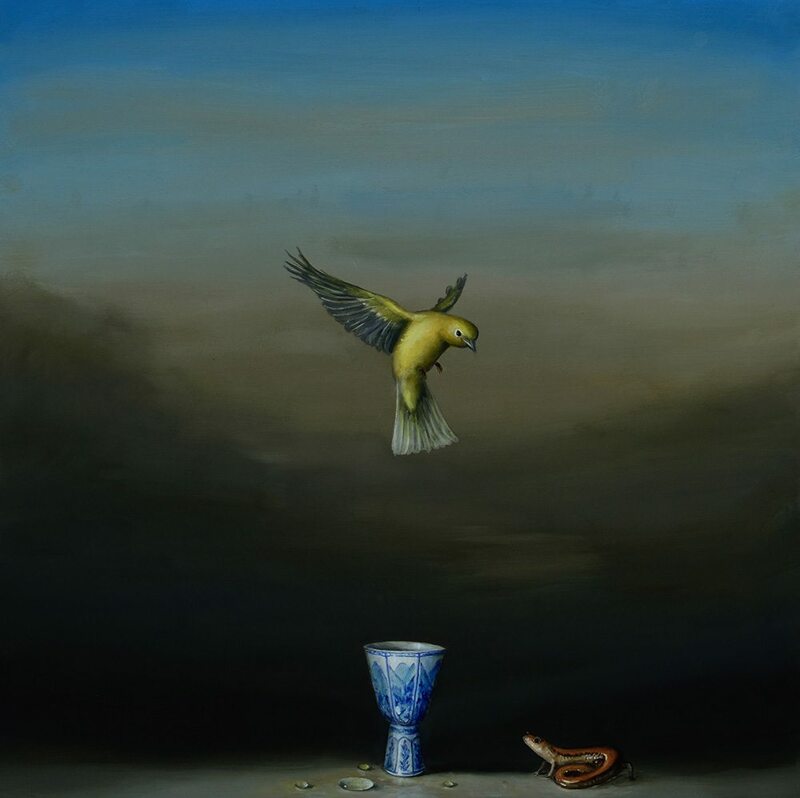 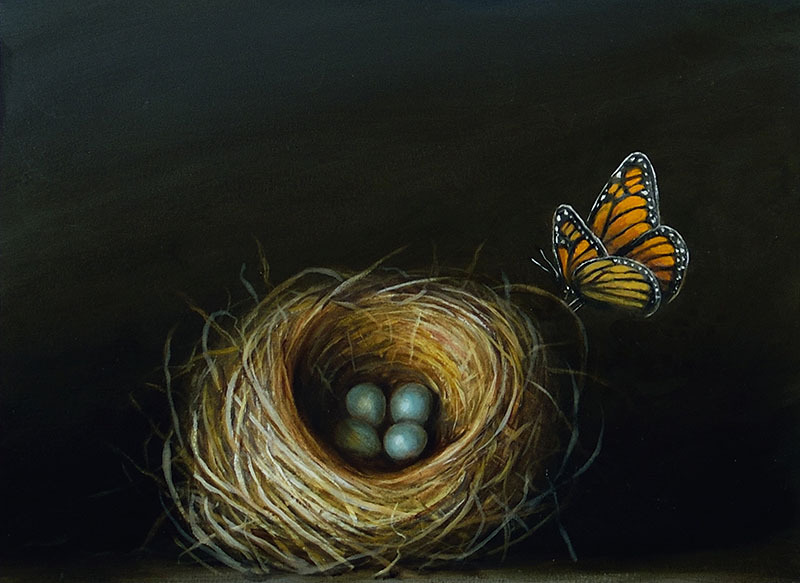 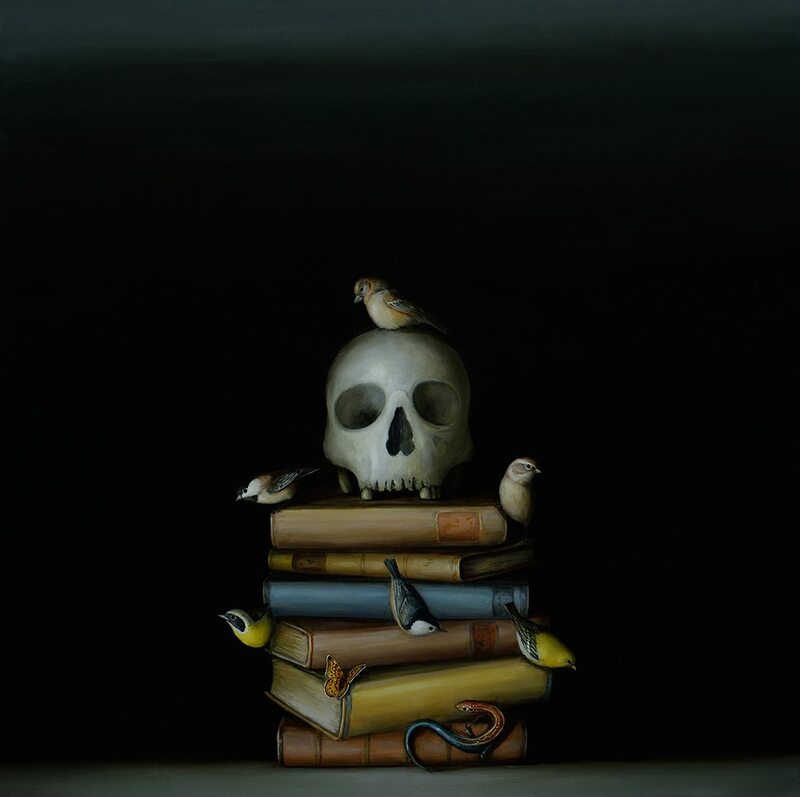 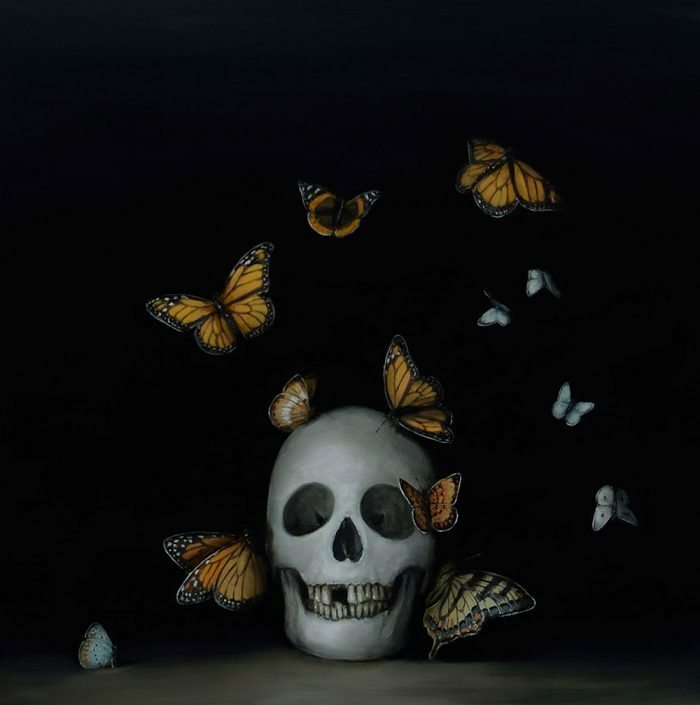 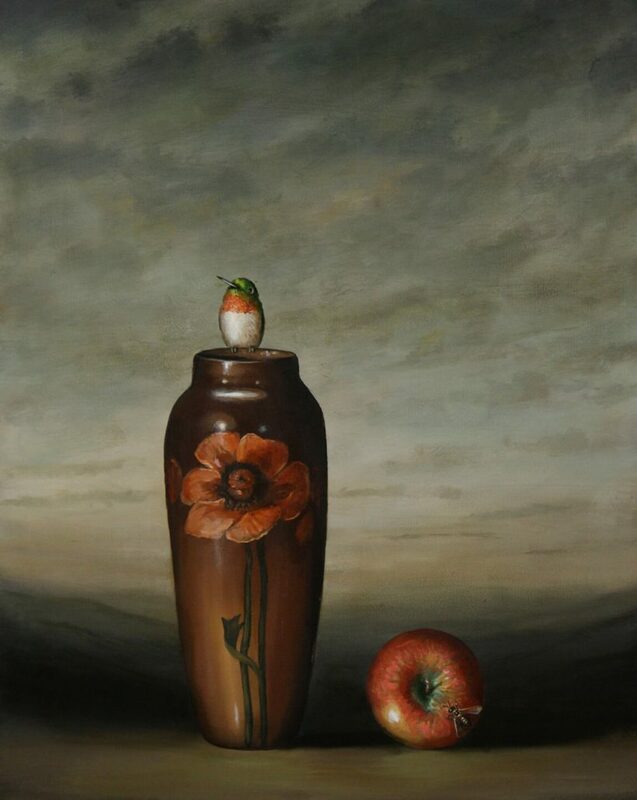 Artist David Kroll is known for his finely crafted paintings—precise still lives and exquisite landscapes that allude to both the Dutch Baroque and 19th century Romantism. 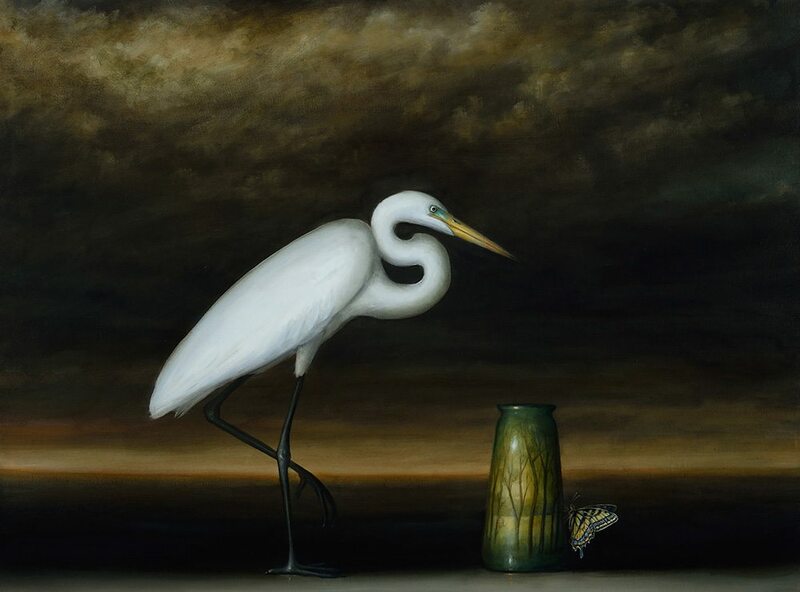 His richly glazed and elegant works have a quiet sense of splendor, balance and stillness. 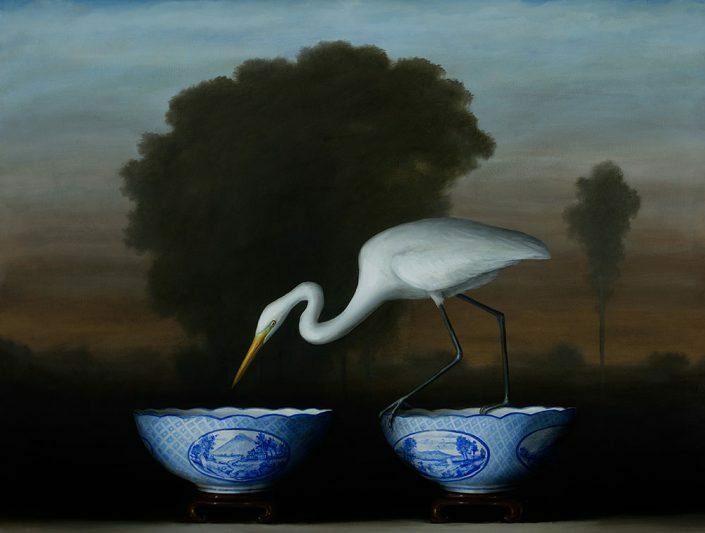 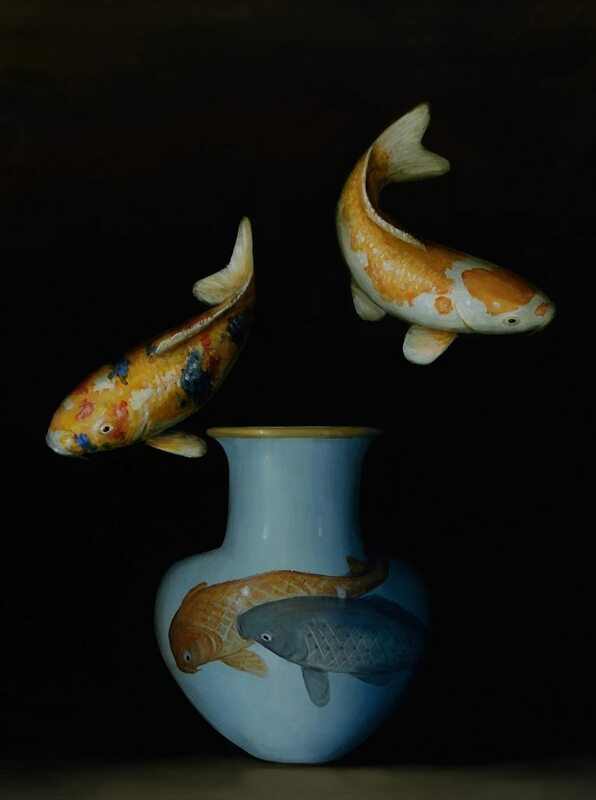 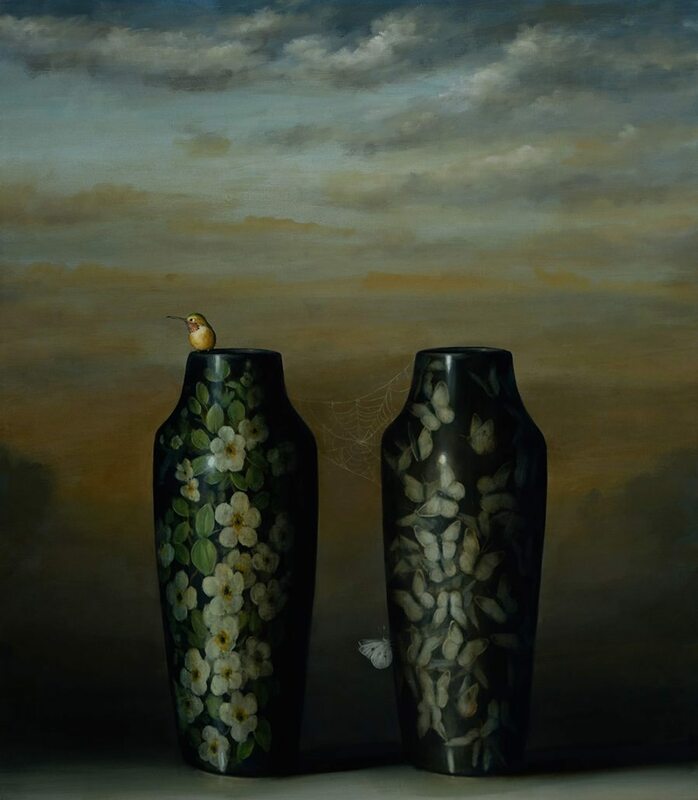 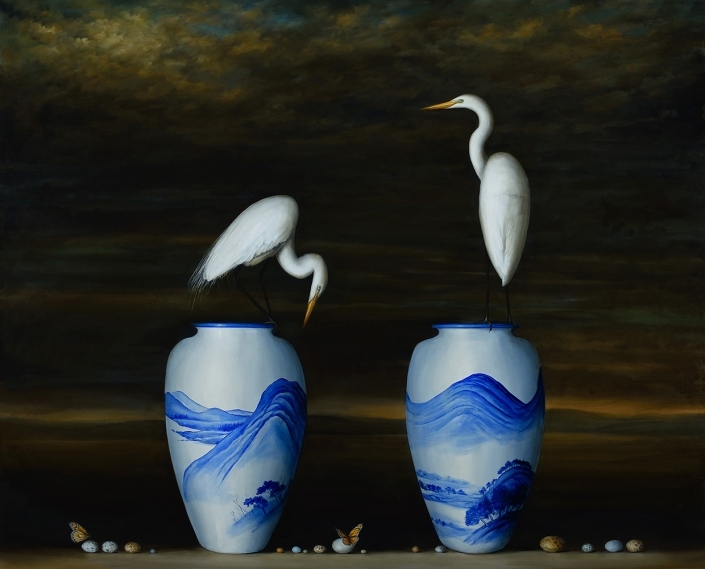 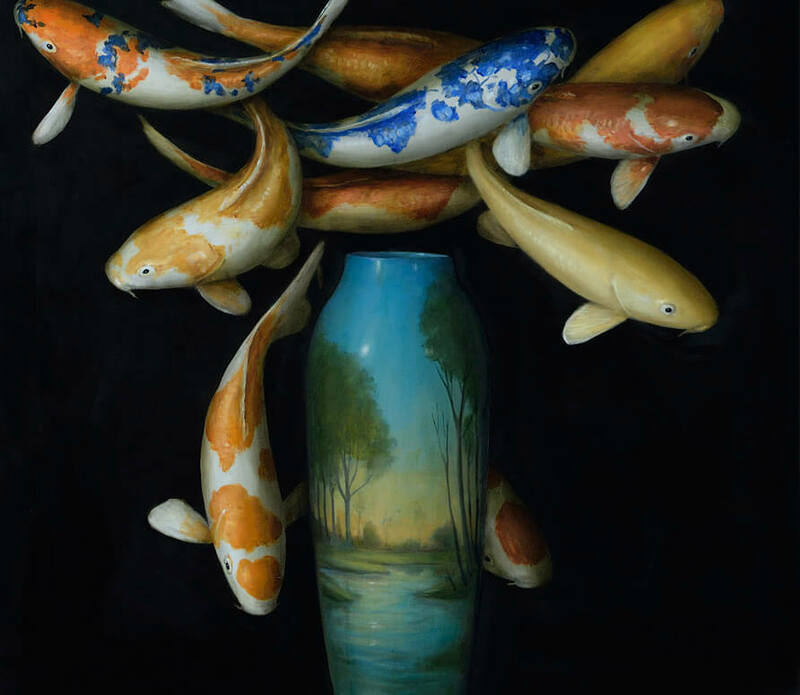 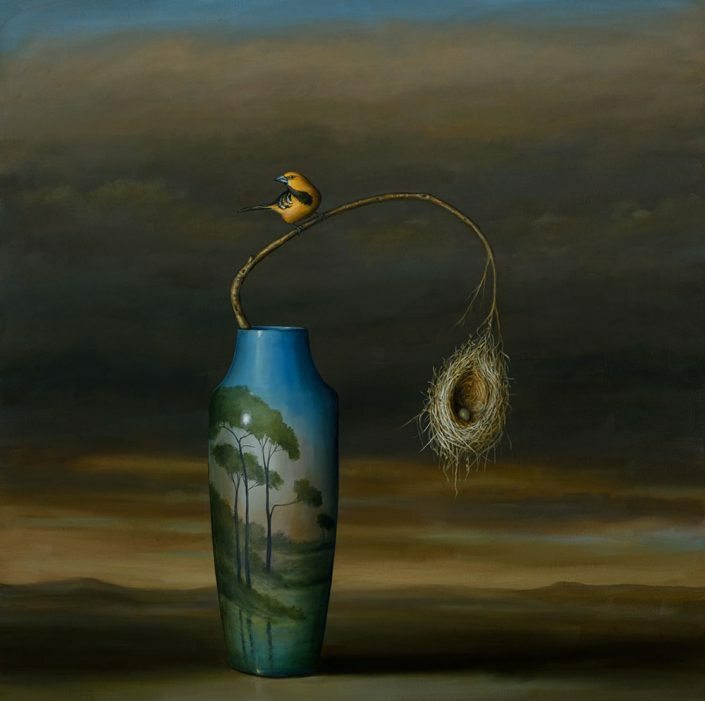 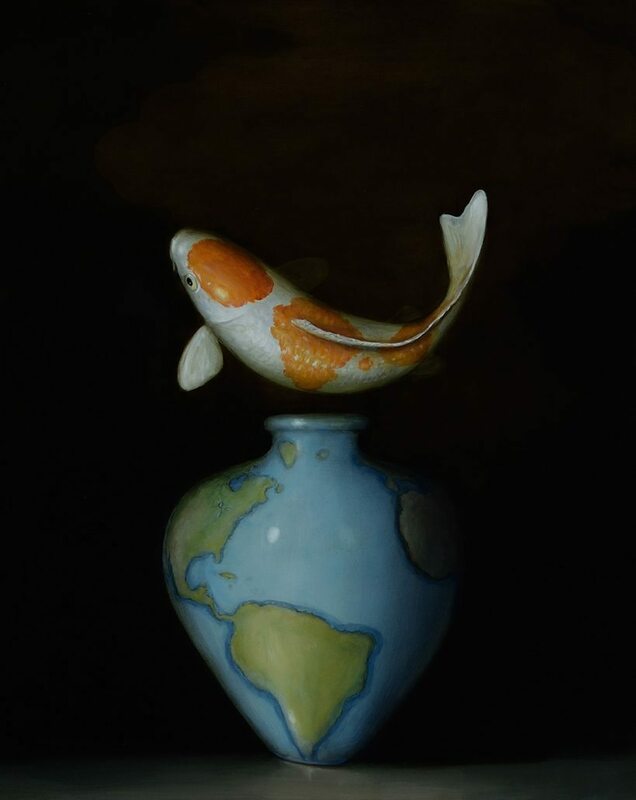 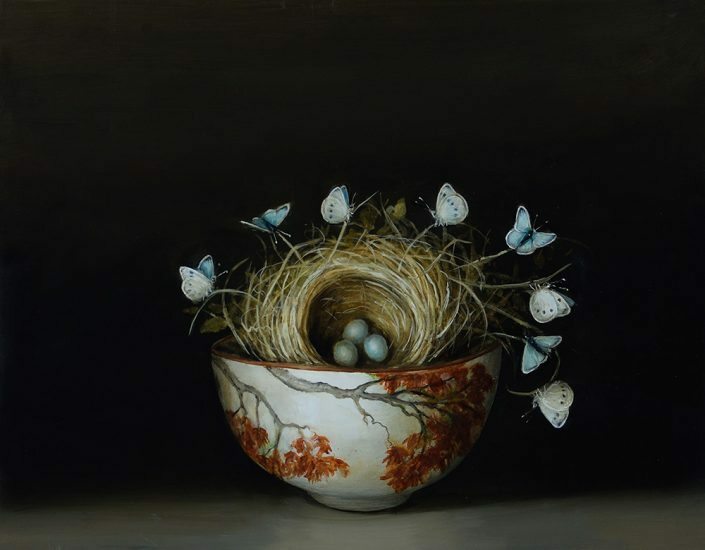 They foreground beautiful birds, elegant koi fish, delicate bird’s eggs and gorgeous porcelain vessels against dramatic backgrounds of mysterious landscapes. 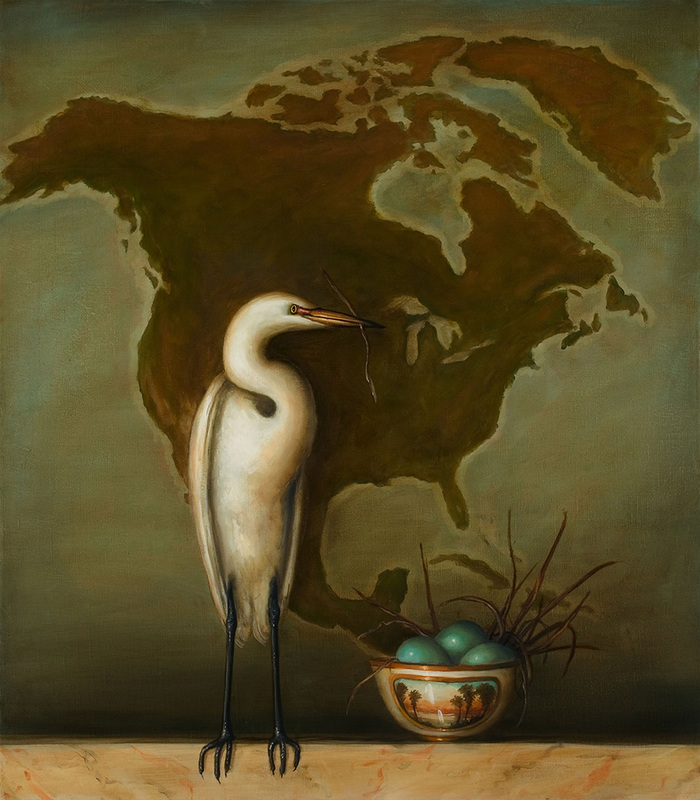 Remarkably detailed in his work, Kroll has explained that he paints a peaceful and classical version of the world: “I paint refuges, places to go for solace. 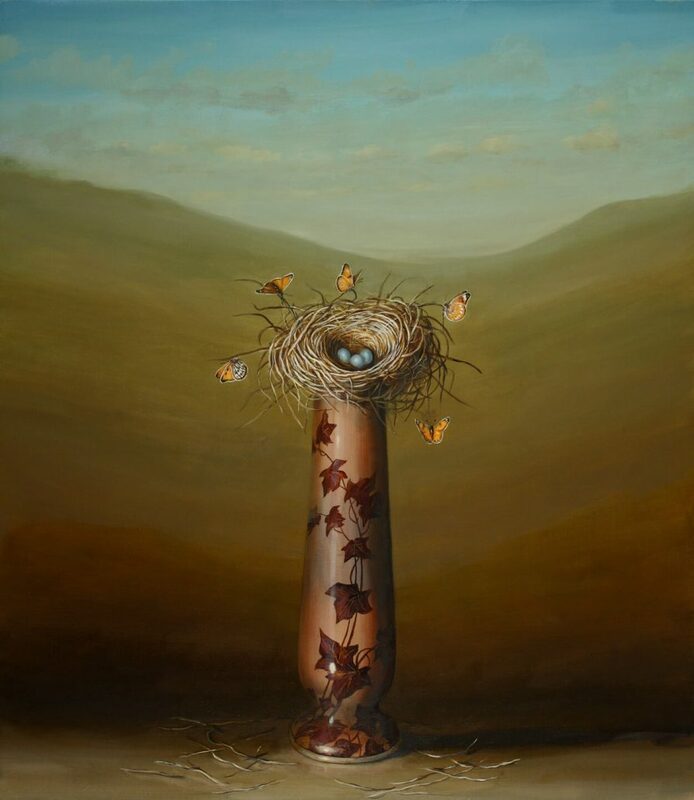 I want my paintings to be destinations of quiet and calm.” His work is a subtle commentary on man’s relationship to nature. David Kroll received his BFA from San Francisco Art Institute and his MFA from the Art Institute of Chicago. 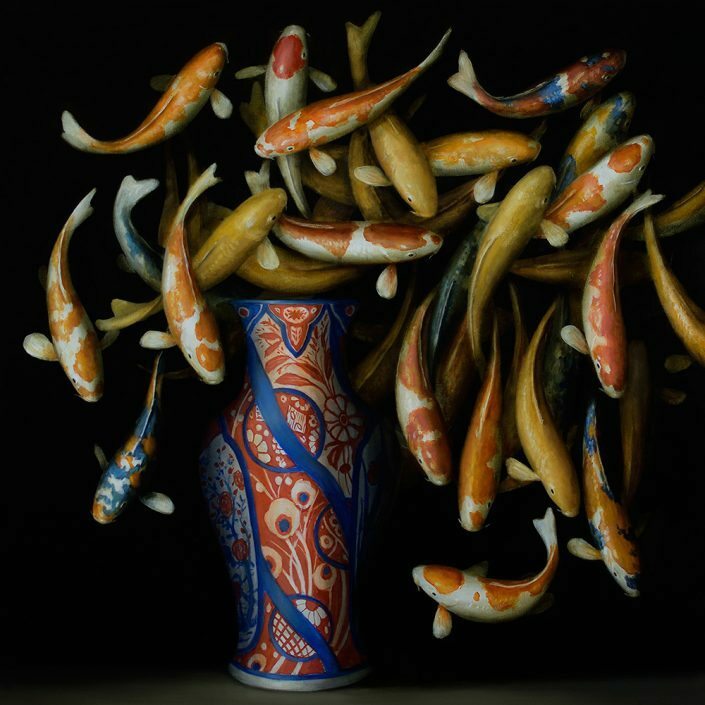 He taught at the School of the Art Institute of Chicago for 20 years, and now has studios in both Washington State and Mexico.